Used to our culinary journeys today we will visit Germany. I love German cuisine although I do not cook a lot German dishes. Normally when we want to eat German we go to a German restaurant here in Milan and we treat ourselves with Bavarian goodies, hot bretzles and good beer. But today we won’t go to the restaurant and I will cook German because Oana and Diana @ Savori Urbane invited us to join them on a trip around the world symbolically named The Food Connection , a trip in which 24 bloggers will enter various countries kitchen trying new recipes that will be collected in dedicated collections. 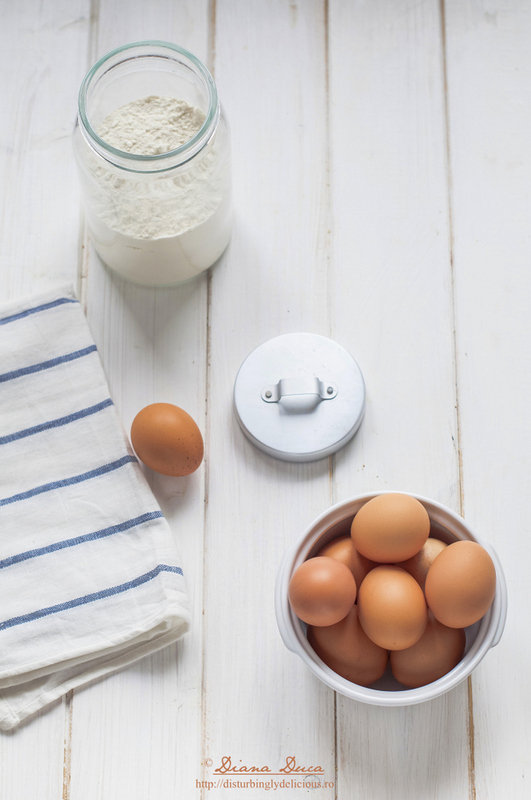 Each blogger will host during one month a specific cuisine gathering all the recipes. This month Andie will break the ice with the German cuisine. and we will contribute to the collection with our recipes. It took me a while to decide what to cook but as at the restaurant I mentioned they serve some delicious spätzle I took it as a challenge to try to prepare them at home. So, here come the spätzle. Spätzle are some kind of noodles prepared with eggs and flour and they are very popular in Southern Germany, Austria and South Tyrol. There is no a traditional recipes and in base of the region the spätzle are prepared in various ways: some prepare them with water, others with milk, others with sparkling water. Well, I decided to make mine with spinach. And they were pretty nice. 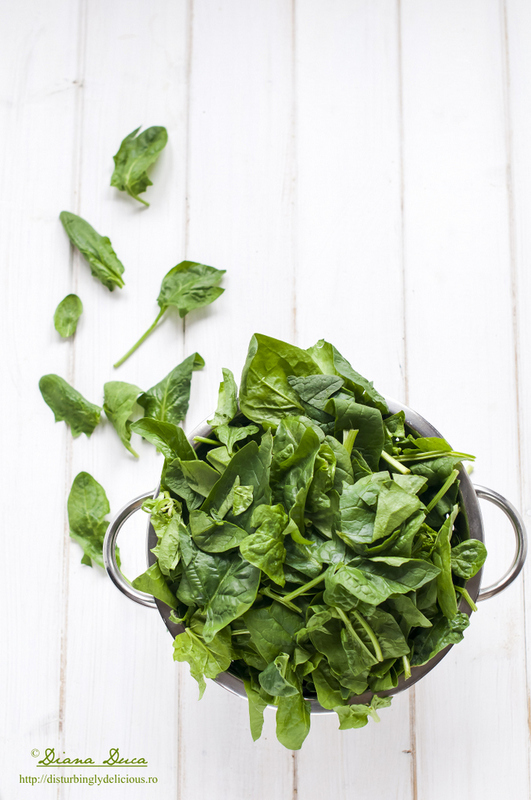 Wash the spinach leaves after removing the stems and immerse them in salted boiling water for 1'. Drain it and puree in a food processor or in a blender. 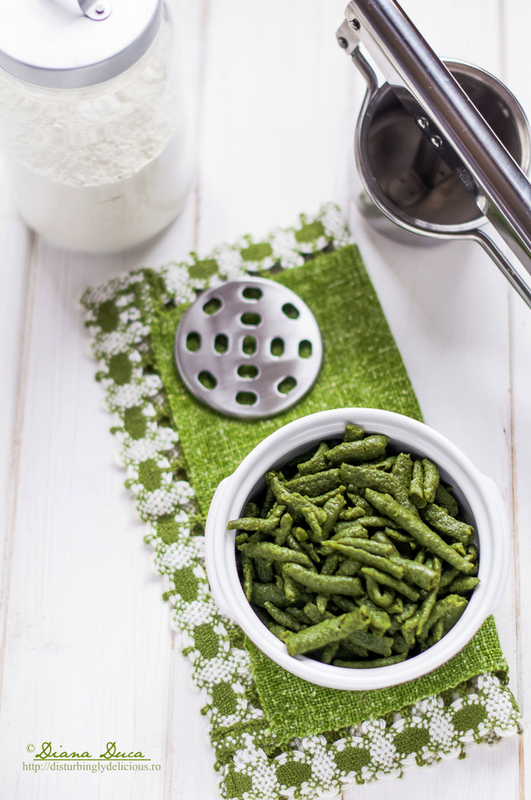 In a large bowl or (food processor) mix the spinach with flour, eggs, water, nutmeg and salt and whisk until you get a homogeneous composition (thicker than the one of pancakes) - the batter must flow but it does not have to be too liquid. Let it rest for at least half an hour. Bring a large pot with salted water to boil. When the water starts to boil pour in the spätzle formed with a spätzle maker (I do not have one and I used a potato press). Otherwise you can use a holed colander or a slotted spoon over the simmering water pushing the dough through the holes with a spoon . (You may also use a zip-closed bag snipping off with a scissors the tip of a corner. This must be done in batches in order to avoid overloading the pot. Cook until spätzle float stirring gently to prevent sticking. Lift the spätzle out with a strainer and dump them in a colander giving them a cool rinse with cool water. Continue with the remaining batter. Melt butter in a skillet and add the speck cut into strips. Let it brown for a few minutes and add the wine. Let the alcohol evaporate. Add the cream, salt and pepper. Cook for 5' stirring occasionally until the sauce thickens. 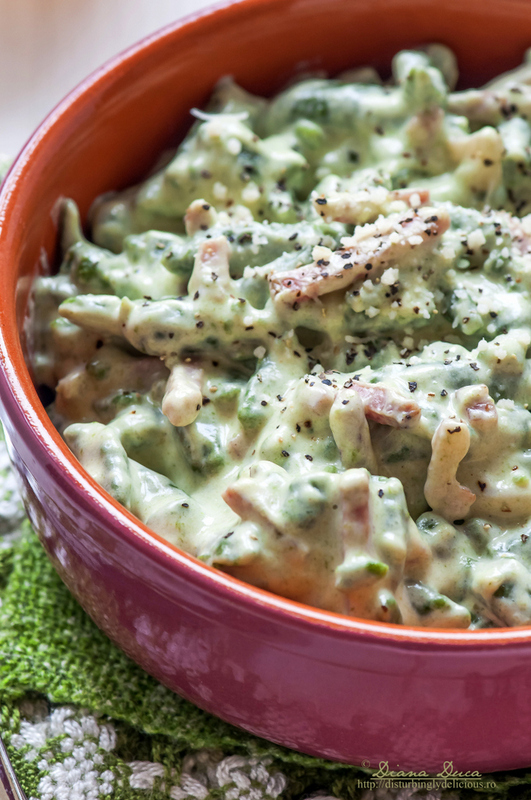 Add the spätzle and stir to blend flavors. Serve immediately with grated Parmesan and freshly ground pepper. 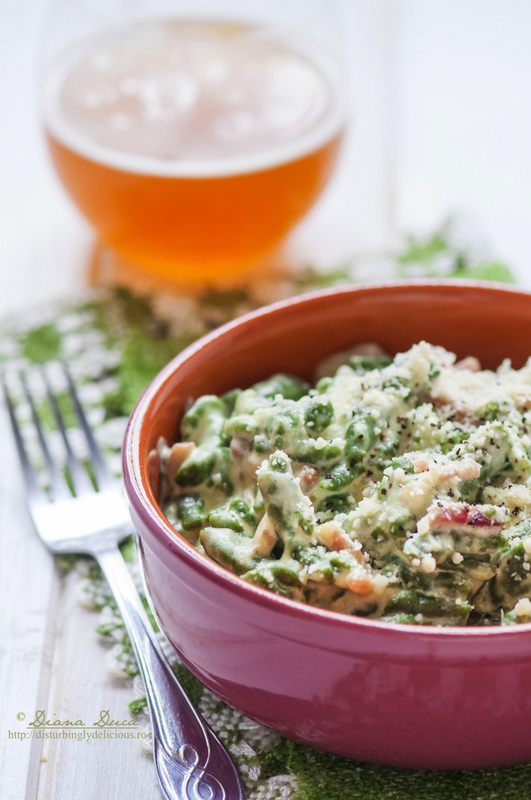 A German beer with this green spätzle made us feel in Germany for an instant. It is a dish full of flavor , easy to make and yet delicious. In case you do not like cream and speck you can prepare them with butter and sage or prosciutto.